ARTESIA – The Eddy County Board of Commissioners held a special meeting on Friday July 31. In a statement issued to the Daily Press, Commissioner Royce Pearson said, “Essentially after closing the books on fiscal year 2014/2015, we have good news. Revenue was $3,100,000 more than expected and expenditures were $1,400,000 less than budgeted, thus creating a $4,500,000 surplus. Monies taken out of needed capital outlay has been added back in for ECSO vehicles, ECDC projects, roads, fire service, information technology and capital improvement funds. 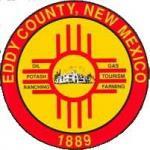 We passed a $67,000,000 balanced budget for Eddy County. We are required to keep threetwelfths in general fund and one-twelfth for roads.